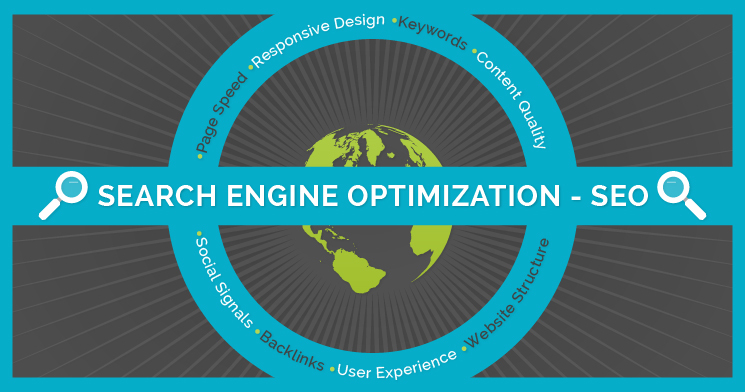 SEO, or search engine optimization, refers to the process of getting “free,” “organic,” or “natural” website traffic through the search results of search engines such as Google, Bing and Yahoo. For example, if you were to search for a specific keyword in Google Search, your website would be listed on the search engine result page in a set position for that particular search phrase. The better you optimize your site, the better position, or higher ranking, your website will appear on these search engine result pages. How do the search engines rank or position your website in the search results? The search engines position or rank your websites in their search results by calculating thousands of factors using a set of rules. This set of rules is known as an algorithm. Each search engine like Google, Bing and Yahoo use a unique and specific algorithm. Social signals – shares, tweets etc. The easiest way to think of the right way to implement search engine optimization for your website is to follow this statement from Google about the best practices for SEO; “Make pages (websites) primarily for users, not for search engines”. Now that you have a grasp on what SEO is all about, the next step is figuring out a strategy for your search engine optimization plan to increase your websites free organic traffic. Please feel free to call or contact us and talk with one of our SEO experts to make the best possible SEO strategy that fits your business needs.